I only have one setting powder I use on rotation and that’s the Rimmel Stay Matte Pressed Powder. But I’m close to finishing it up and I need a replacement soon. 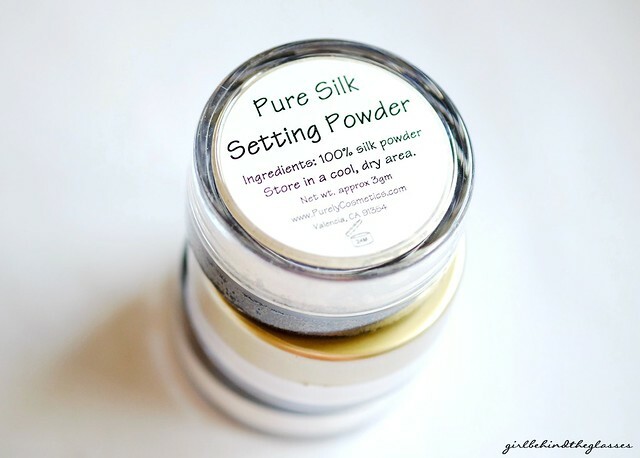 Here’s the next Purely Cosmetics loose powder I promised to review, the Pure Silk Setting Powder. Silk powder has dual properties of being able to absorb or release moisture as temperature and humidity changes, while also being able to absorb excess oils, making it ideal for both dry and oily skin types. Silk powder has 18 amino acids essential to the human body, reflects UV rays to aid in preventing sun damage, and it’s light reflecting properties are the closest to natural skin reflection. Our ultrafine, pure silk powder will leave your face feeling silky smooth. It is colorless, and due to it’s reflecting properties, will leave a more matte finish than our traditional foundation alone. Works well as a primer, setting or finishing powder. Because silk draws moisture from the air, store in a cool, dark area. It is not recommended to keep silk powder longer than 2 years. 20 gram sifter jar, net weight approximately 3 grams. The Pure Silk Setting Powder is a white, finely-milled powder that has no scent and gives off a finish that is somewhere between satin and luminous. Not entirely satin or skin-like but it doesn’t totally give that dewy glow either. A perfect balance between the two, I would say (is there even such a thing?). It keeps the oil at bay for a few hours but I didn’t feel that it absorbed extra sebum production as the day progressed. 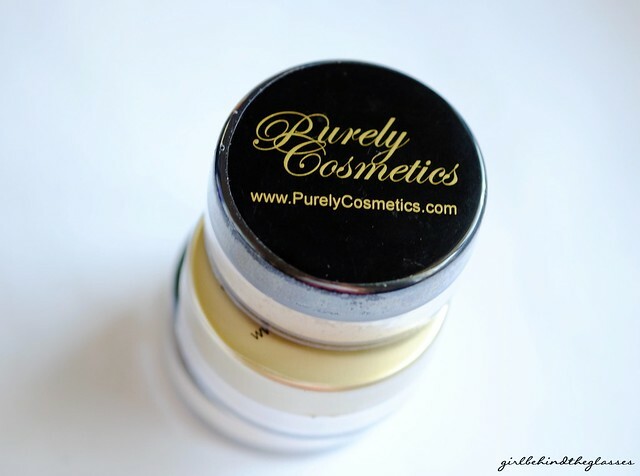 If you’re looking for a mattifying powder, you should try the Purely Cosmetics Oil Absorb Powder for that. At the end of the day, before I head home, I’m extra shiny, particularly on my cheeks — that’s without blotting or powder touch-ups for about 10 hours. But — this is an important ‘but’ — my face is not as overly greasy as it usually is compared to my old setting powder, which I need to reapply frequently. 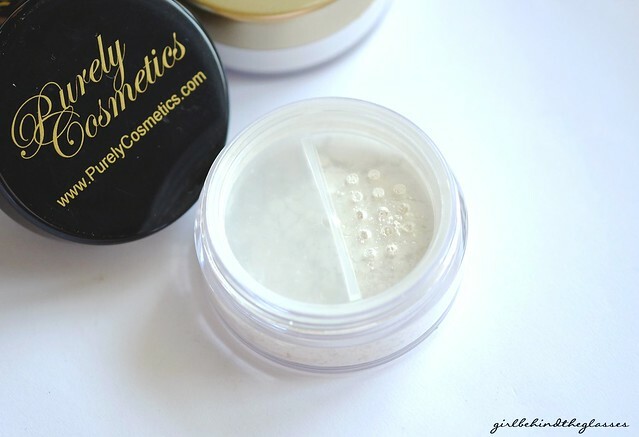 What I do is shake the plastic jar a bit to loosen up the powders, turn the sifter until only 3-4 holes are open and tap the jar on the cap to transfer the powder. I only need a little to use for my entire face. I highly recommend this setting powder to those with dry and normal skin types. This will work perfectly for you! Available at Digital Traincase for Php 750.00 or directly from Purely Cosmetics for $15.